You can self-monitor a VISTA P-Series System by signing-up for a self-monitoring alarm plan that includes access to Total Connect 2.0. The VISTA System will need to have a compatible internet or cellular communicator installed and activated to communicate with the AlarmNet Servers. When a system is configured for self-monitoring, it is not connected with a central monitoring station for automatic emergency dispatch. Instead, the end user receives their own alerts through text and/or email. It is then up to them to contact the local authorities for help. If a user can consistently check their alerts, then self-monitoring can be a viable option. Total Connect 2.0 makes self-monitoring possible on the VISTA 15P, VISTA 20P and VISTA 21iP Systems. In order to self-monitor a VISTA P-Series System, the panel will need to be connected with Total Connect 2.0. This is the interactive service platform that will send the end user text and/or email alerts. To use Total Connect 2.0, the system will need either an IP communicator or a cellular communicator. There are also dual-path communicators that feature allow for connectivity through both IP and cellular. These represent the most reliable option. Additionally, Alarm.com offers various System Enhancement Models (SEMs) that serve as cellular communicators and allow Honeywell VISTA Systems to use the Alarm.com service instead of Total Connect 2.0. Alarm.com can also be used for self-monitoring, as it can send email and/or text alerts to the end users. The 15P, 20P and 21iP Systems mentioned earlier all support the SEM devices. The VISTA 10P also supports the module, and it is the only way for the system to be used with self-monitoring. The newest SEM communicator available is the ADC-SEM110-VT-VZ, which connects with the Verizon LTE Network. Please note that you may need to make a PROM Chip upgrade to get your VISTA System to work with certain communicators. Additionally, accessing TC2 requires at least PROM Chip version 9.12 on a VISTA 15P or 20P System, or PROM Chip version 3.13 on a VISTA 21iP System. Alarm Grid offers VISTA 15P PROM Chips, VISTA 20P PROM Chips and VISTA 21iP PROM Chips. If you require assistance replacing a PROM Chip, please review this helpful FAQ. Make sure your VISTA System is powered down completely before replacing the PROM Chip. 1. Install a communicator. With the exception of the VISTA 21iP, a VISTA P-Series System does not come with a communicator installed. You will need to get one separately. A good cellular communicator to use is the Honeywell LTE-XV, which connects with the Verizon LTE Network. There's also the Honeywell LTE-XA, which connects with the AT&T LTE Network. If you want dual-path connectivity, the Honeywell iGSMV4G is a good option. If you are fine with internet only, you can use the Honeywell 7847i, which comes pre-installed inside the VISTA 21iP. If you want to use Alarm.com instead of Total Connect 2.0, you can use the aforementioned ADC-SEM11-VT-VZ. Once you have the communicator, you should install it inside your alarm control panel. Make sure to power down your system before doing this. 2. Get alarm monitoring. Accessing Total Connect 2.0 or Alarm.com requires active alarm monitoring service. You will need to sign-up with an alarm monitoring company. The monitoring company will take information about your system's communicator so that it can connect with the AlarmNet or ADC Servers. Since you are using self-monitoring, you do not need to choose a monitoring plan that includes connectivity with a central monitoring station. But it does need to include access to either TC2 or ADC. 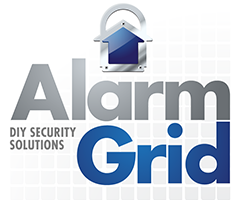 Alarm Grid offers a variety of self-monitoring plans that will make this possible. We invite you to check out our monitoring page for more information. 3. Access an interactive service. After you sign-up for monitoring, your monitoring company will send you an email with the resources you need to create a Total Connect 2.0 or Alarm.com account. You will provide a phone number to receive text alerts and/or an email address to receive email alerts. It is strongly recommended that you download either the Total Connect 2.0 Mobile App or the Alarm.com Mobile App on your phone so that you can conveniently receive alerts remotely. Both apps can be downloaded for free from the Google Play Store and the Apple App Store.